While eCommerce sites are wildly popular and popping up at faster rates than ever before, they still can pose problems between the customer and owner that cause a lack of sales. Unlike their brick-and-mortar counterparts, eCommerce retailers face issues such as lack of trust and authority, and fraud within online transactions. It makes sense that, as an online retailer, you want to ensure everything, from your shipping to the page’s visual appearance, is something that not only attracts and holds the attention of potential customers but also gives your company merit to build trust and authority. Think it’s easier said than done? This is exactly the case. 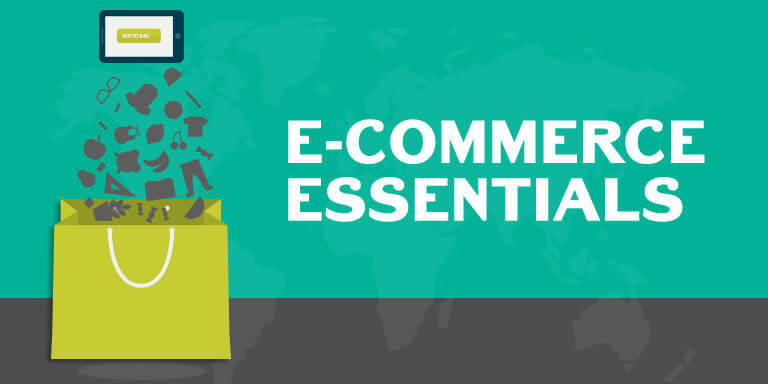 Below are eCommerce essentials that all retailers should follow to attract (and please) customers. This is a no-brainer—no one likes to wait for a web page to load. If it takes more than about one second for your website to load, you have already lost your customer. The slower it takes for each page to load, the more of a chance you have of turning your customer away. While none of your pages should take longer than a second or two to load, this is especially true for checkout. A slow-moving transaction will cause a customer to distrust your company and take their money elsewhere. So, it is crucial to invest in high optimizing platforms. You won’t be sorry. Everything from your product pages, tabs, descriptions, checkout, and home page should be easy to navigate. While a visually appealing eCommerce site is important, if a customer cannot figure out how to navigate through the high-res images and quality content, it won’t do you much good. Make sure your navigation is self-explanatory. There should be no question as to where the tabs will take you or what they mean. All categories and subcategories should be organized, so it is easy to browse through the pages and refine the products when viewing. Likewise, a customer should not have to search for the home button, newsletter, blog social media links, login, or shopping cart. These should be easily accessible and visible. This is a biggie. We now live in a world where shoppers aren’t just adding to shopping bags behind their computer screens. Many shoppers are, in fact, using their smartphones and tablets to make purchases. So, if your eCommerce site isn’t mobile friendly, you are losing money as you read this. Hop on as many devices as you can and check out your store. Go through the checkout process, look at product pages, and search for items. If you have trouble viewing, loading, or completing a purchase, make sure to use a quality web designer to create a mobile friendly home page or landing page. A highly responsive eCommerce web design is not something you can skip in today’s world. Remember that easy navigation we discussed in point 2? Well, it also has to be backed with powerful search capabilities. You want to ensure that when a customer types a product or item in the box, they are directed to the right page. Users are accustomed to how fast Google directs them to the correct page, even with errors. So, if they have to try to search for something more than a couple of times, they will move on. Make sure you establish that line of communication, and that you don’t cause your customer to search for an item elsewhere. Since you don’t have sales representatives to open the line of communication, you want to set up the opportunity for the customer to ask any and all questions about a product he or she is interested in. Do this by including a chat display on product pages, the home page, and the contact us page. Offering customer support strengthens the connection, builds trust, and makes your site seem personable, all of which are excellent ways to encourage customers to complete the purchase and that create loyal shoppers. Since online fraud does happen, customers are wary of making purchases from eCommerce retailers. When a potential customer visits your site for the first time, they only see a web page. There is no storefront, warehouse, or human face to back it up at that moment, which may cause distrust or suspicion as to whether the store is reliable or even real. This is where trust marks come in. Trust marks are the symbols that a customer instantly recognizes and trusts. Have you ever noticed the logos for Western Union, MasterCard, Visa, PayPal, and GeoTrust, etc. on websites? Those are trust marks, and they are online accreditation certificates that demonstrate to the customer that he or she can trust your company with his/her transactions.